Discussion in 'Introduction And Pictures' started by webby, Mar 3, 2011. What's up fellow hondaheads 9GEN_LOWLIVIN. 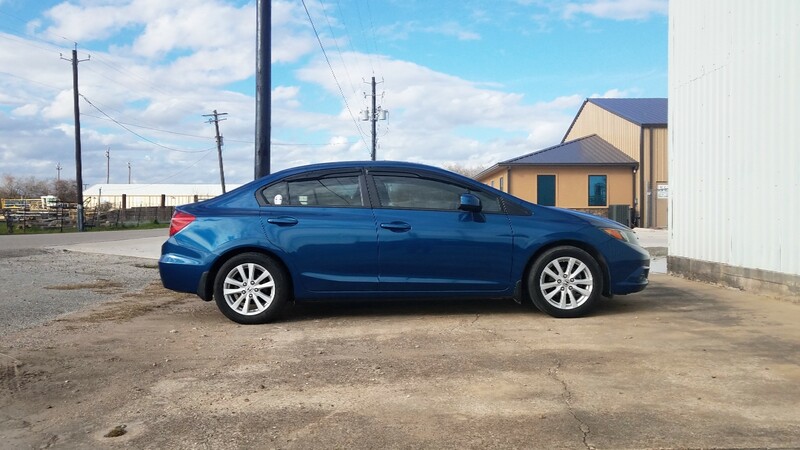 I'm buddy my wife is a 15 COUPE SI. Just dropped her today. She got low low low low . bootyluvr, ron v, webby and 1 other person like this. That's a start, welcome to the forum! Just bought me a beater to go back and forth to work... WHAT UP 9th Gen??? 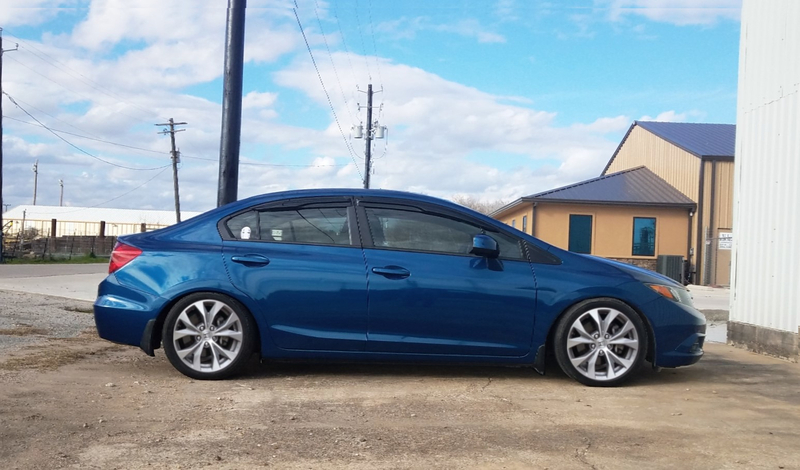 Hey guys, recently got this 2012 EX-L and used this forum a lot to get ideas and help with some of the newer technology haha I've mainly had a ton of EF's and one EG so having a car made from this past decade is actually kind of nice! Here it is as she sits now, basically bone stock aside from cheap ebay window visors. I really want to throw the Si grill in there and then look into lowering it on some stock Honda Type R wheels. Hmotorsonline seems to have decent set of Type R's with tires that have been drawing my eye here lately so we'll see. Really dig this place too btw, I spend hours on here when work is slow and look at all the cool builds. Anywho, thanks for checking out my post! ron v, webby and bootyluvr like this. Hello!! My names Josh, and I've been a car/truck guy since I was a little kid. Depending on the area I've lived in I've owned everything from lifted square bodies on 37s, to lowered cars. Toss in a few motorcycles, dirtbikes, quads, and snowmobiles, I've had a long history of messing with things that have engines. 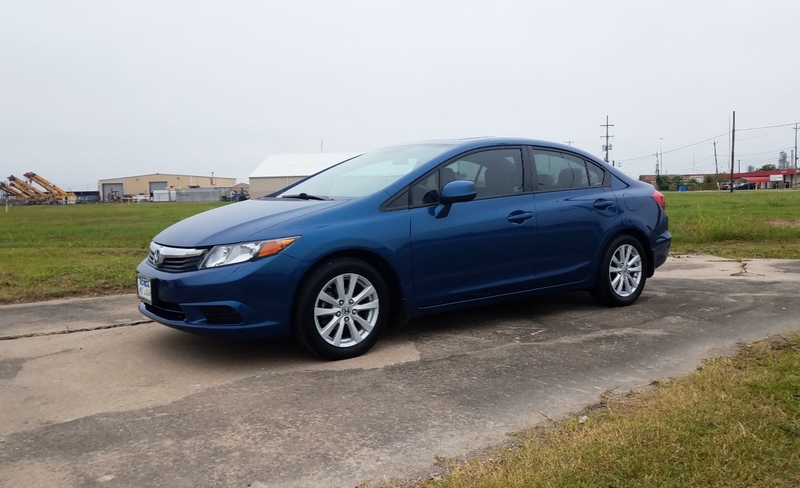 Present day, I've been driving a 2012 LX civic for the past 3 years. Been a fantastic car and I put a ton of miles on it, currently at 161k. I drive 400 miles a week or more at times. The time has come for me to give back to this car. Shes acquired many dents and dings thanks to Chicagoland traffic and idiots in parking lots and has kept on trucking. So far the only repairs mechanically have been the overpriced hydraulic motor mount and a thermostat. Currently sourcing the replacement parts for all the body damage. Also, have a set of Rev9 Coil overs on the way. Going to give it a bit of stance to go with the wheels. hi guys my names jose I’m from NY, never been on a forum before so I don’t know exactly how this works . bootyluvr, ron v, bauer311 and 1 other person like this. Welcome. pretty easy going forum here. If u want start a build thread to keep track of your progress or just lurk and learn. We’re here for u. Any questions let us know. welcome @Yanksx169 Looks like a very clean car for this time of year. Did you just purchase that civic? Welcome! There's quite a few of us on here that had/have civicsand still stick around. We're all pretty chill and will help you with anything we can. Webby has mastered searching the internet for answers to questions and is an awesome admin.